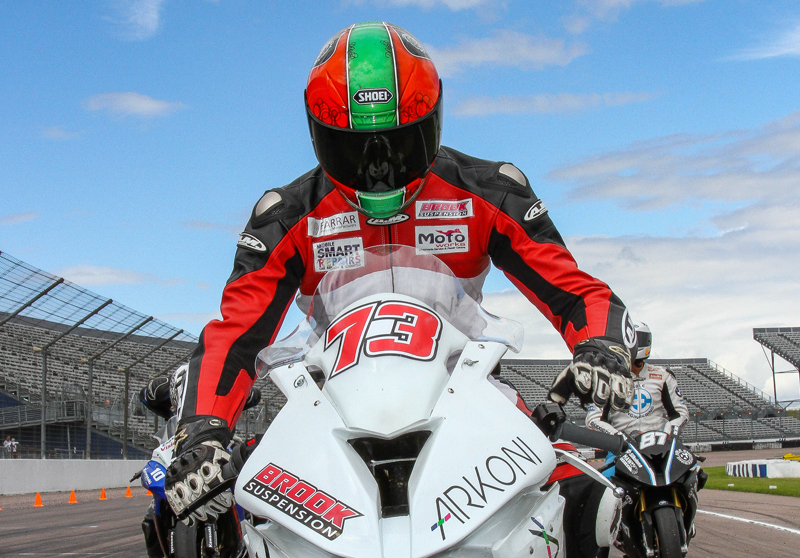 Three third place finishes over the course of the weekend provided encouragement for ‘Brooky’ and further cemented his second place in the overall rankings after crashing out at Mallory Park last time out. Dave commented: “I’m very pleased with the results. We chucked in a test between the rounds and I completed one full session out of 5 as I was plagued with teething problems from the crash at Mallory Park. This meant I didn't have any practice to blow the cobwebs off so I had an enormous amount of pressure to get on the pace, rectify the electronic problems and set the bike up all on the official test day but I qualified in fifth, 0.5s off of pole. “I managed to build and improve throughout the weekend and got three solid 3rds out of all the races so I have to be happy with that! My fitness wasn't 100% so, given another 4 weeks of recovery and training im sure I’ll be fighting fit for Anglesey at the end of August,” added Dave.